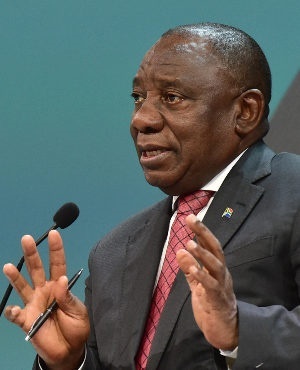 The president gave the opening address at the start of of the Inaugural Africa Investment Forum at Sandton Convention Centre in Johannesburg on November 8. To realise this potential, Africa needs to invest in the skills, capabilities and well-being of its people. It needs to improve governance and promote peace and stability. Most importantly, if Africa is to seize the opportunities of the future, it needs to mobilise large scale, sustained investment, especially in infrastructure. African governments cannot do this without business. The private sector and private markets are key players in the African investment landscape, supported by the lending capacity of financial institutions, both on the continent and beyond. If we are to unlock and sustain the flow of capital to Africa, we need to drive the economic reforms necessary to create an enabling business environment. We have to address governance challenges such as policy uncertainty, financial mismanagement and corruption. As African leaders, we must demonstrate a firm commitment to act against corruption both within public institutions and the private sector. The Africa Investment Forum provides a welcome platform for us to outline the work we are doing to create a more enabling environment for investors in Africa. It is also an opportunity for us to listen to the concerns and suggestions of business leaders, to draw lessons, and to act. This Forum is aligned to the key aspiration of the African Union’s Agenda 2063 of a prosperous and integrated Africa, characterised by inclusive growth and sustainable development. Agenda 2063 has a resource mobilisation strategy that relies on the identification and expansion of investment partnerships to propel growth. The economic transformation of the continent is dependent on all our efforts to move industrial and infrastructure projects to bankable stages, to raise capital and to accelerate the financial closure of deals. International partnerships such as the G20 Compact with Africa can make an important contribution to this growth, while offering investors significant opportunities to do business across the continent. The Compact is geared towards strengthening macroeconomic, business and financing frameworks across the continent to promote private investment from companies in G20 countries. The potential of this initiative was evident in Berlin last week, where a diverse range of investors announced plans to invest in various projects in participating African countries. This is good for investors, who will have access to a market of more than 1.2 billion people and a combined GDP of more than $3.4trn. Economic integration – whether at continental or regional level – will further deepen the inter-connectedness of African economies. The fortunes of any one country will be even more closely dependent on the fortunes of all countries. As South Africa, this informs our approach to investment and development. We have launched an ambitious investment drive to raise $100bn in new investment over the next 5 years. This is vital to reigniting growth in our economy and creating jobs on a far greater scale. Any investment in South Africa is an investment in Africa. With its diversified economy and manufacturing base, advanced infrastructure and large workforce, and sophisticated telecommunications and financial sectors, South Africa has long been an important destination on the continent for foreign investors. We need factories, affordable energy, reliable water supplies, universal broadband and integrated supply chains. We also need the roads, railway lines, harbours and air networks that are essential to move these goods. And the people who will produce and transport these goods need decent housing in sustainable communities.They needs schools, universities, clinics and hospitals. It is vital therefore that we take an integrated approach to economic development both within countries and across the continent. It is up to us to harness the power of initiatives such as the Africa Investment Forum that bring together business, financial institutions and governments in a single marketplace.